CSI College of Dental Science and Research, Madurai was established in the year 2007 due to hard work and numerous efforts put in by Madura & Ramnad Diocese Bishop Rt. Rev. Dr. A. Christopher Asir. The campus of CSI College of Dental Science and Research is adjacent to the Christian Mission Hospital and since its establishment; the college has focused on delivering quality education to students by providing guidance and opportunity for hands on experience. The need of a Dental College was always felt in the temple city of Madurai, and only with the vision, enthusiasm and involvement of Bishop Emeritus Dr A. Christopher Asir did the college come into existence. 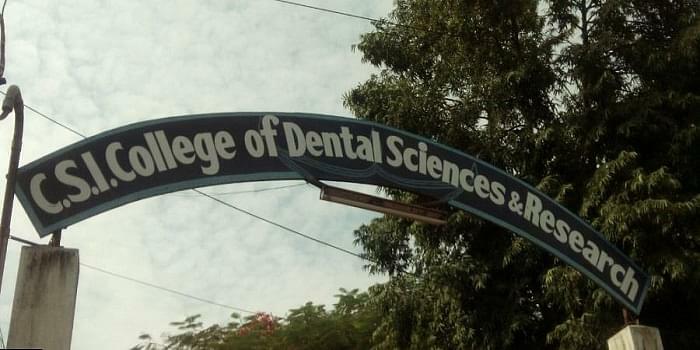 The CSI College of Dental Science and Research was established due to the need of a Dental College in the city of Madurai which could impart education to the students in the field of Dentistry and produce quality professionals in the said field who would be of use to the society at large eventually. Apart from providing quality education and hands on experience to students in the field of Dentistry the CSI College of Dental Science and Research also offers world class infrastructure facilities to its students which help in the overall development of the student. Infrastructural facilities like a vast campus, hostels for students (separate for boys and girls), and well stocked library have been part of the college since its inception. For the holistic development of the student the college also offers a host of recreational activities like gym and indoor games for all students. Hi Rathiga, This college does not provide the MDS program. Like to know abt fees . Need help in applying for BDS COLLEGES in Tamilnadu.